Better ram management and amazing battery backup. Added a twrp flashable file for patching any rom and make system working in mtk 6753 (from same soc). Maybe a better touch sensitivity and better photo quality. 2) Unpack,you'll find 3 files, boot.img (a kernel ported boot image) system.img (original system from ulefone) and a twrp flashable file. 4) Using SP_Flash_Tool flash only boot.img and system.img. 6) Reboot,set dpi to 440 for a confortable view. 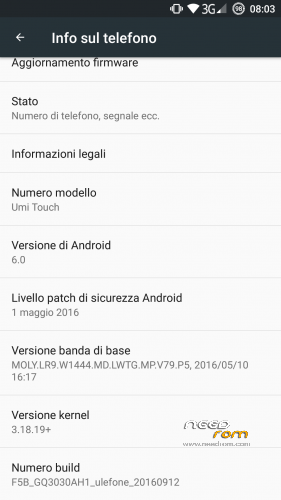 7) Thats all…… enjoy your new updated Umi/Ulefone rom. I really hope that UmiPortPatch.zip will help to port some other rom.I have not so much time. * I am not responsable for any damage to your phone,i am not a developer nor an exepert ! Use at your risk !!!! Sorry for my english….. So if I flash a system.img with SPFT and this boot.img after I flash the port pack in TWRP I will have a working phone if the ROM for the same SoC? I dont know the english error but it means something like : "Failure by registrating the Fingerprint please try again or use another finger"
The shared link you are trying to access has been deleted. 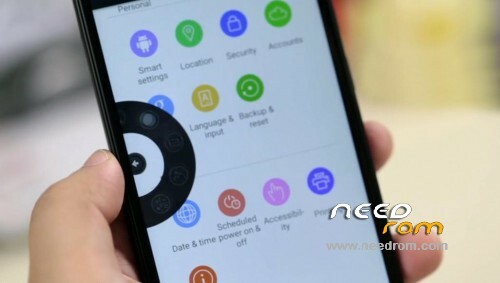 UMI Rome has the same SoC with many ROMS, Meizu M2 Note with Flyme OS runs the same SoC but these are on Android 5.1 any chance to port a LP rom what do you think? I am sorry,i never tryed that, so i cant answer but i think is not possible due to different rom architecture.Meizu M2 have many 6.0 roms too,maybe we can try to port. Usually to made a rom working you have to port kernel too…. P.S: i am reuploading file to needrom hosting.Pls be patient and sorry for annoing idrive hosting.